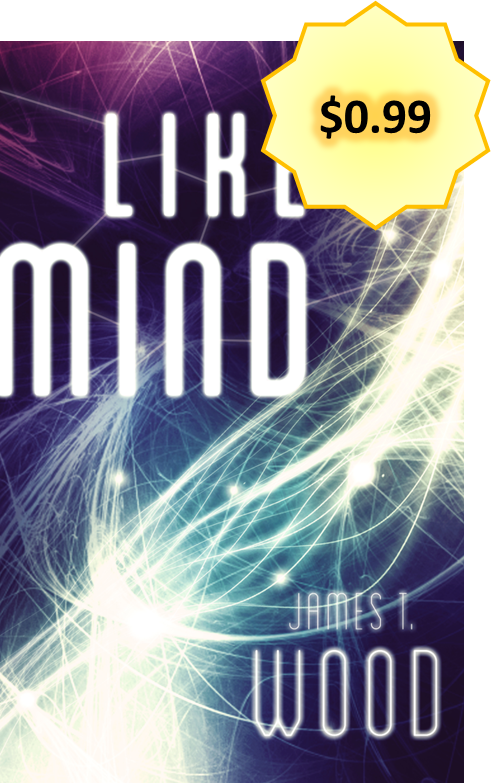 James T Wood: It's just $0.99! For a limited time (until 10/9) you can get my latest novel for just $0.99. In case you were wondering, yes I am out of my mind, I appreciate your concern. "Plenty of action and humor along the way." "If you take the Matrix and mix it with James Bond and travel to Portland, Oregon, you get Like Mind." "If you like an action packed book, with great characters and humor, this book is for you." "I thought I wouldn't like it . . . I was pleasantly surprised."